The 2015 Sustainable Garden Tour will be held Sunday, June 14 from 1-5 p.m., featuring rain gardens, pervious parking areas, native plant landscaping, rain barrels, backyard wildlife habitat, composting and more. Local residents open their gardens and share their experiences landscaping with natural resources in mind. This year’s tour will feature homes and schools in the greater Tysons area: Vienna, McLean and Falls Church. Hidden treasures and verdant landscapes await you! 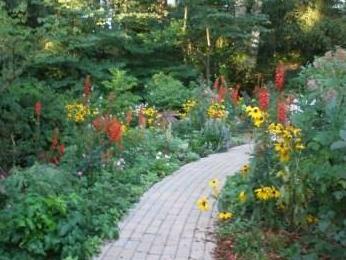 You can enjoy each garden at your own pace. Visit as many or as few as you like. Gardens are grouped for ease of viewing. No RSVP is required. Free and open to all! For details of the sites, a map and more, please click here!